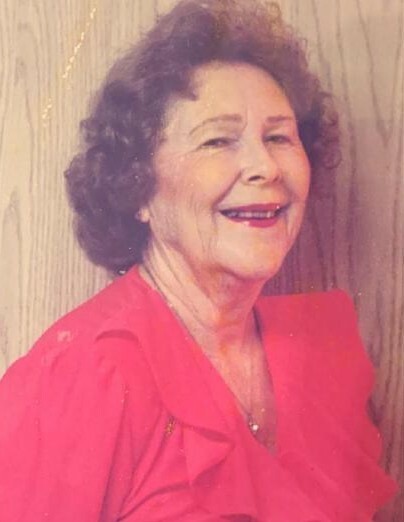 Mrs. Ina Dorcas Etheridge Diamond of Evergreen passed away Monday, March 18, 2019. She was 96. Funeral services will be held at 11 a.m., Wednesday, March 20, 2019, at Cope Keahey Chapel with Rev. Jack Williamson officiating. Interment will follow in the Olive Branch Baptist Church Cemetery. Survivors include a son, Alvin Diamond Jr. of Troy; grandchildren, Mark Jones, Lorie Jones; 7 great-grandchildren and 2 great-great-grandchildren. Mrs. Ina is preceded in death by her husband, Alvin R. Diamond Sr.; daughter, Betty Jean Marsh and grandson, David Chrysel. Memorial contributions may be made to Nature Conservancy and Alabama Plant Atlas.